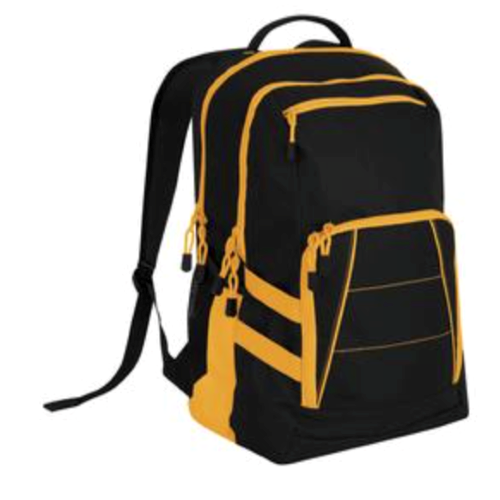 Create and order Custom Backpacks. No Minimums and Free Shipping on all orders over $100. 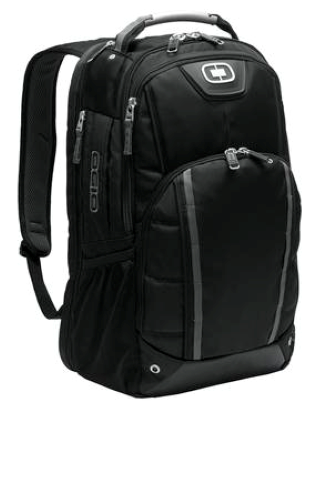 The teardrop shape and tonal pin dot texture give this backpack a unique look, while the roomy main compartment and padded laptop sleeve ensure maximum protection and organization. Coordinates with our Nailhead Messenger (BG301, sold separately). 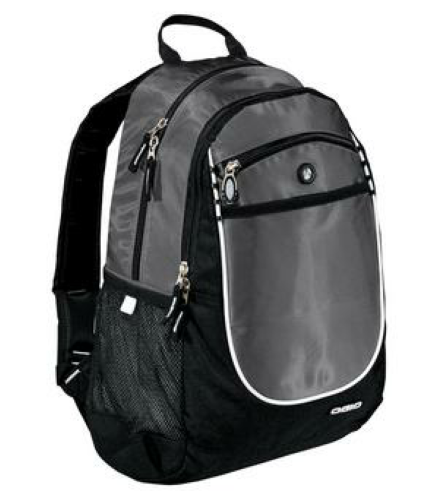 | 420 denier pin dot polyester Padded back for comfort Tab on center back for lashing articles to pack Zippered front pocket for easy embellishment Web top handle Ergonomic, adjustable, padded shoulder straps Laptop sleeve dimensions: 12.25'h x 11.25'w x 1'd; fits most 15' laptops Dimensions: 18.5'h x 14.25'w x 6.75'd; Approx. 1,779 cubic inches Note: Bags not intended for use by children 12 and under. Includes a California Prop 65 and social responsibility hangtag . 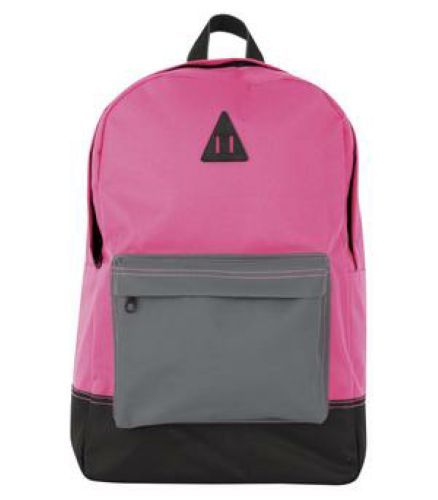 Create and order your own custom backpacks and knapsacks. 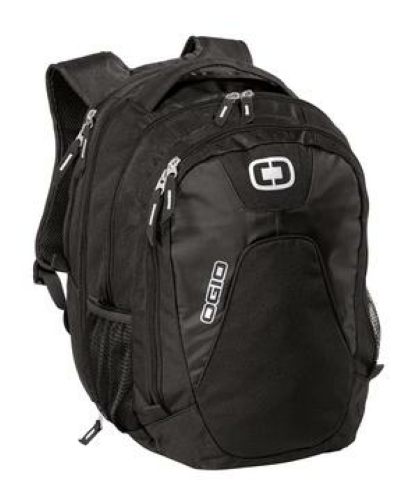 Backpacks make a great idea for a high-end giveaway or keepsake for your group, club, sports team or business. 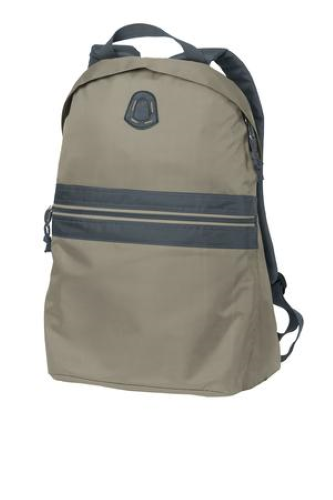 We offer a range of backpack styles, colours, and sizes to meet any requirement you might have.